The second major championship of the 2013 season will be tee off before one knows it so now is the time to steal some US Open value before the other thieves come out to play. Unsurprisingly, Tiger Woods heads the 2013 US Open betting markets, with bookmakers Paddy Power and StanJames offering odds of around 5-1 that the world number one wins his 15th major title and his first since claiming his third US Open crown five long years ago. The 2013 US Open will take place at the Merion Golf Club in Ardmore, Pennsylvania from 13 June to 16 June. It will be the first time that the Merion Golf Club’s revered East Course will stage a major tournament since the 1981 US Open that Australia’s David Graham won by a three-stroke margin. Course form, therefore, is a little hard by which to come – the Merion Golf Club’s East Course played host to the 2005 US Amateur Championship and the 2009 Walker Cup – but the make-up of the East Course should suit one of the 2013 US Open market leaders, someone who has demonstrated on a couple of occasions that he relishes US Open golf. Graeme McDowell is the man in question and, at generally available odds of 34-1 at 888 Sports, he represents the 2013 US Open value. The Northern Irishman is a former US Open winner whose statistics on this year’s PGA Tour suggest that the Merion Golf Club’s East Course will suit his skills. More than 100 years old, the Merion Golf Club’s East Course is not quite 7,000 yards in length, which makes it a short track by today’s standards. Distance off the tee ought not to be an important factor in determining which player wins the 2013 US Open, with driving accuracy, scrambling and sand save data being the numbers on which punters should focus. It is imperative that anyone who wants to stand a chance of winning an US Open hits the ball straight and stays out of the rough, which is usually the thickest of the season. The Merion Golf Club’s East Course will penalise anyone who does not keep the ball in the fairway and, also, its deep bunkers around its green will demand the very best short games. The relatively recent history of US Opens contested on the Merion Golf Club’s East Course supports such strategies as well. Graham hit the ball long but, more importantly, he hit it straight and he was known for his chipping. Lee Trevino won the 1971 US Open at the Pennsylvania venue and, while he was not one of the most powerful golfers of his era, he was accurate off the tee and off the grass and possessed an outstanding short game thanks to his pitching ability. McDowell fits the profile of a US Open champion at The Merion Golf Club’s East Course. Through to the end of May 2013, McDowell topped the 2013 PGA Tour driving accuracy percentage chart with a score of 71.10%. Only six golfers were averaging better than 70% and McDowell held a 0.17% advantage over three-time major nearly man Tim Clark. Also through to the end of May 2013, McDowell led the way on the 2013 PGA Tour in the art of scrambling. McDowell had a scrambling percentage of 70.27%, which came about thanks to his 104 scores of par or better on the 148 holes in which he failed to make the green in regulation. Luke Donald was the next best scrambler with a score of 67.47% so quite a gap. And finally, also to the end of May 2013, McDowell was 22nd on the 2013 PGA Tour for sand save percentage, with the Northern Irishman making 26 saves from 43 bunkers. For the record, Justin Rose, KJ Choi, Jason Day, Donald and Rickie Fowler comprised the top five for this particular statistic. McDowell is a big-time golfer. Last year, he recorded major placings of joint second, joint fifth, joint 11th and joint 12th and, of course, he became the first European golfer to win the US Open in 40 years when he won the 2010 event at Pebble Beach Golf Links by one shot from Gregory Havret. 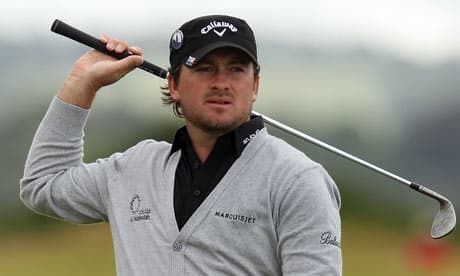 The US Open is McDowell’s pet event, certainly out of the four majors, never missing the cut in seven appearances and posting one first, one second and two more top-20 finishes.